One of our Tourism breakout sessions this year will focus on the topic of getting all the stakeholders from a region to work together: from the destination marketers, to the media, to the trade, to the wineries – everyone must have a coordinated role along the consumer’s path to purchase. One of the key players in this process are local wine tour companies. 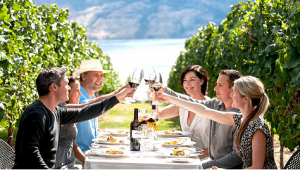 Local and regional wine tour companies can make a difference in driving qualified buyers to wineries and, in return, make the tour companies successful. Regardless of region, many repeat wine country visitors will use the same company and drivers year after year, so establishing a rapport with those companies can pay off for a winery in the long run again and again. The winery should establish criteria with the tour company before the tours begin – provide pricing for both tasting and wines so that the tour company can match their guests appropriately to the experience. Provide consistent, positive experiences that reflect well on both the winery and the tour company. The tour company will keep bringing their guests back to a winery if they know their guests will be happy. Provide unique experiences on both sides that they may not get elsewhere and that are not available to the general public. Provide a meal. If a tour company has the responsibility for their guests all day, they will need to eat, and serving lunch at a winery can be a unique experience. Bringing in a local restaurant or deli to cater adds an additional layer of local support that guests will notice and appreciate. Cultivating relationships with wine tour companies is an important factor in introducing new and repeat regional visitors to the local wineries. United we stand!